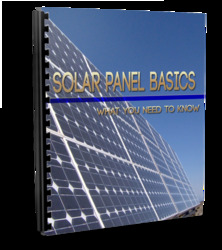 Thermal solar power plants are similar to the conventional ones with the exception that a field of concentrating solar collectors replaces the conventional steam boiler. In hybrid plants, a conventional boiler is also present, operating on conventional fuel, usually natural gas, whenever there is a need. Therefore, the thermal analysis of solar power plants is similar to that of any other plant and the same thermodynamic relations are applied. The analysis is greatly facilitated by drafting the cycle on a T-s diagram. In these cases, the inefficiencies of pump and steam turbine should be considered. In this section, the equations of the basic Rankine power cycle are given and two of the more practical cycles, the reheat and the regenerative Rankine cycles, are analyzed through two examples. To solve the problems of these cycles, steam tables are required. Alternatively, the curve fits shown in Appendix 5 can be used. The problems that follow were solved by using steam tables. The basic Rankine cycle is shown in Figure 10.9a and its T-s diagram in Figure 10.9b. FIGURE 10.9 Basic Rankine power plant cycle. (a) Basic Rankine cycle schematic. (b) T-s diagram. FIGURE 10.10 Reheat Rankine power plant cycle. 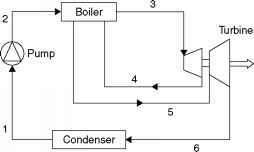 (a) Reheat Rankine cycle schematic. (b) T-s diagram.